Those were the sounds of a shortcut. It was a beautiful Sunday in May, and I was gung-ho to get a lot done: weed, clean gutters, till garden, and set up my patio. 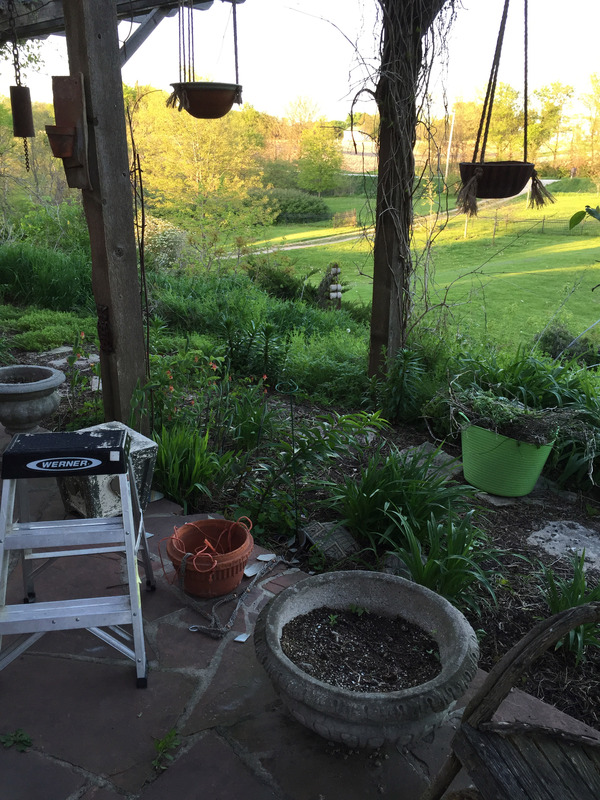 I hauled a 10-foot fiberglass step ladder up from the barn for the gutter work, but decided to first hang ceramic pots on the pergola. I only needed a couple extra feet to reach the hooks, and I weighed the options of carrying the big ladder around the house versus giving it a try with a 2-foot aluminum step ladder that was nearby, lighter, and easier to maneuver. I knew the short ladder was the poorer choice, safety-wise. I wouldn’t have three points of contact on the ladder that the 10-foot ladder allowed. I had a heavy pot to lift. I knew you shouldn’t get on the top step. There was no soft place to fall. On the other hand, maybe I wouldn’t have to get on that top step. And it would only take about five seconds to hang the pot. Besides, falling on the usual well-padded body part isn’t a big deal - my words might turn the air blue, but so what. In the split second it takes to fall off a ladder, you don’t know how it happened. I don’t remember standing on the top step but I likely did. I don’t remember reaching forward or to the right, but I likely did. Yet in that split second, Oh-no- it’s-happening-this-is-going-to-be-bad- what-a-stupid-mistake races clearly through your mind before you’ve even hit the ground. A subconscious response tells your body to break the fall. I likely stuck out my right arm. Feeling sick to my stomach, bloody faced, looking at broken pottery shards and a right hand that was in an unnatural position, unmovable, swelling and turning purple, there was an illogical reasoning that somehow, I had to turn back the clock and do it over, because this had turned out all wrong. My simple shortcut took me to the emergency room, to x-rays and a tetanus shot, to a couple weeks of sugar-tong splints, immobilized elbow-to-knuckles, to short arm casts, to a strange looking mannequin-arm that was eventually freed of the cast and as useful and flexible as a stick of wood. 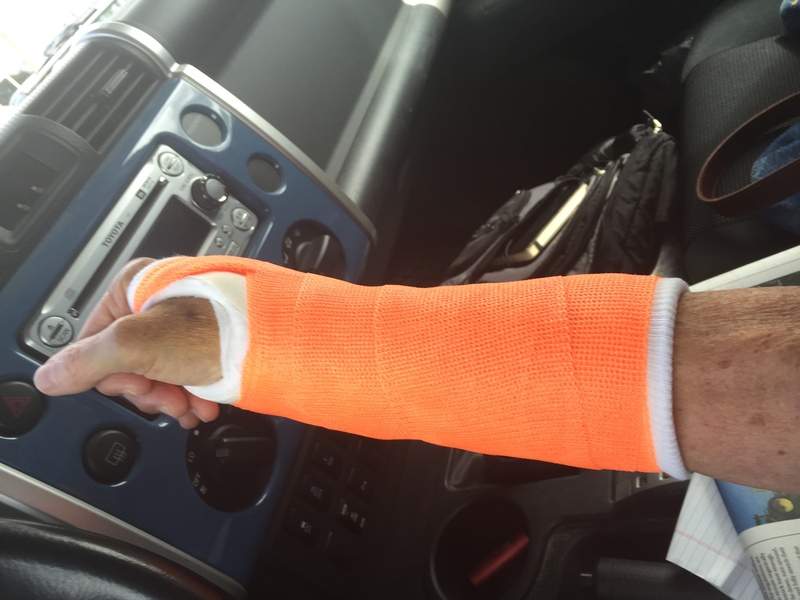 I surely hadn’t expected that the shortcut would give me a distal radius fracture, a broken wrist. 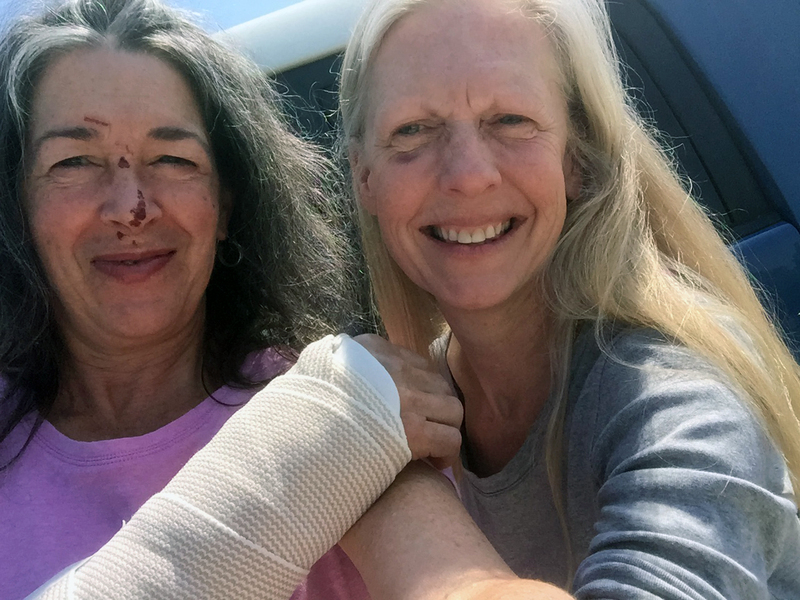 My friend Kathy was sympathetic, and I think she probably winked when she asked if I was going to do a root-cause analysis of my own accident. Having many weeks to replay that wrong decision gave me plenty of time for it. I picked the wrong ladder; that was clear. One hand was full, the other hand nothing to hold on to for support. Most importantly, my mistakes were about risk perception, the why part of going with the wrong ladder. 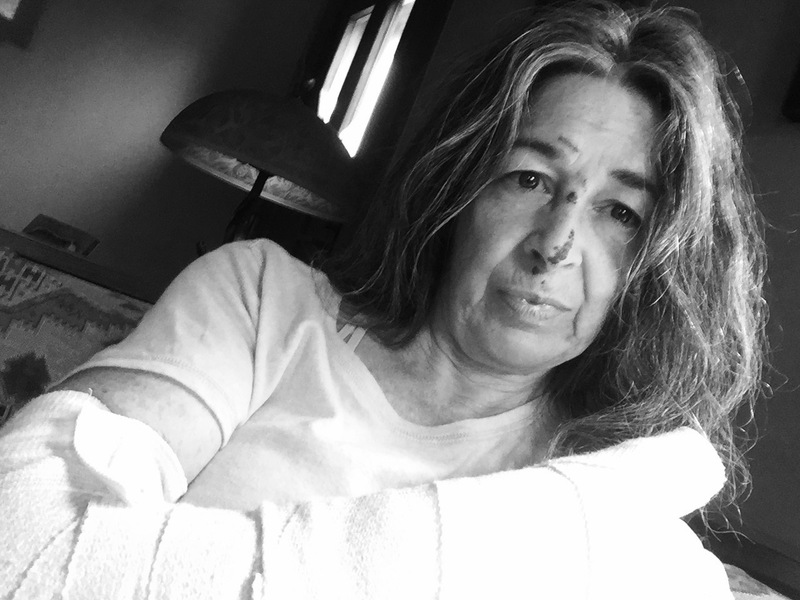 One, I didn’t anticipate the range of consequences; I recognized only ‘I might fall,’ not ‘I might fall and … break a bone, have to go to the hospital, have to do everything with only one hand,’ or even worse: have a head injury, be disabled, or die. I hadn’t thought of potential outcomes resulting from falls, even those from short distances. The outcome I had expected was that the job would get done, and I would have saved myself the steps, hassle, and two extra minutes of moving a bigger ladder. 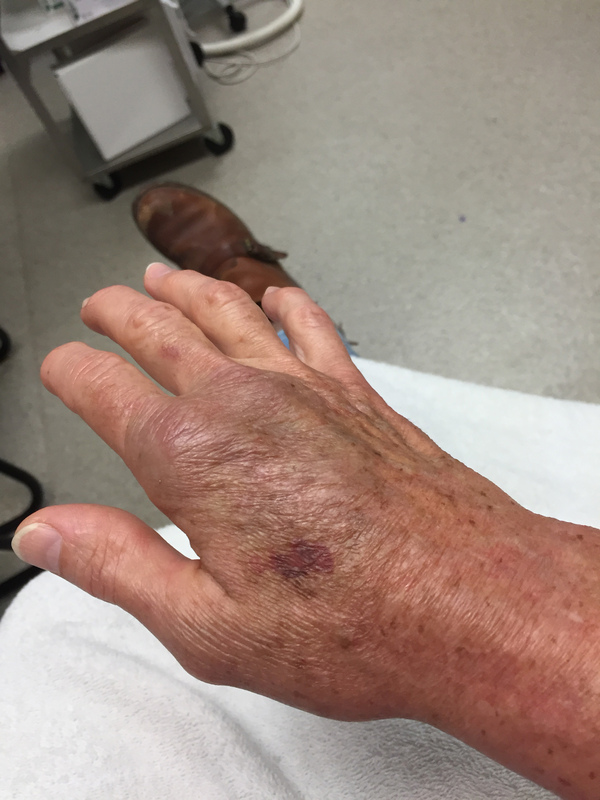 I hadn’t imagined a very possible outcome of months altered by a broken and mending bone. Two, I hadn’t ever fallen from a ladder before, so it would be unlikely I ever would, right? I’d only had good outcomes on ladders, even tall extension ladders. What could be the big risk with a little step ladder that I use often? My prior experience influenced my expectation that this would be a minor job with no negative outcomes. Three, I’m usually pretty sure that I know how to do things safely to get a job done. I thought I could be careful and smart enough, even with the short ladder. Had I been a little less confident, I would have chosen the ladder with side rails to hold onto. These factors affect the way we all perceive risks and the decisions we make to minimize or accept those risks. Over eight weeks, I learned how frustrating it is to have only one arm and hand that works. 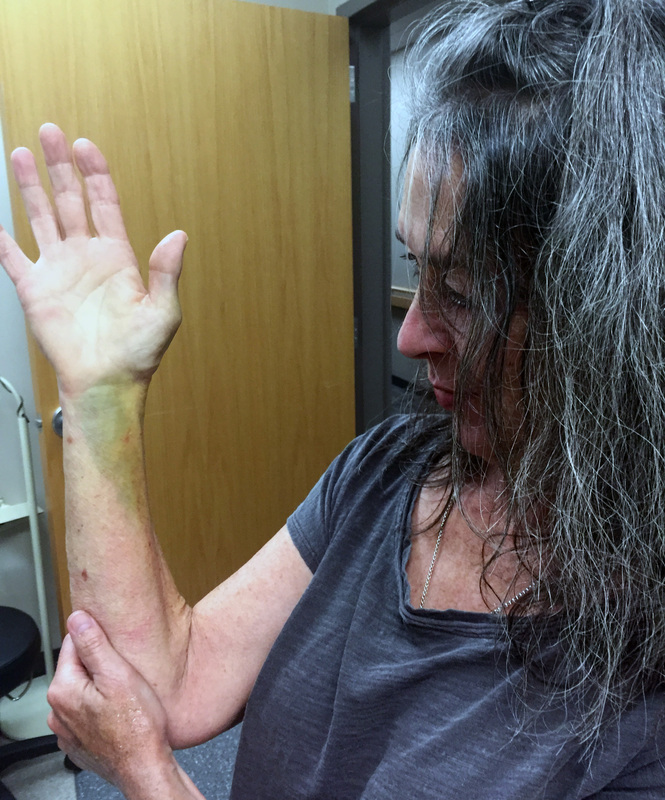 I thought about a friend who has farmed his whole life with just one arm; about a friend who fell off a 10-foot step ladder and broke only his ribs (he was lucky); about a woman who told me about her husband’s fatal fall injury. My fall could have been much worse. But it was also entirely preventable. Does your perception of risk take into account all the possible consequences and outcomes? Will the shortcut be worth it, or will it take you on a detour you hadn’t planned? 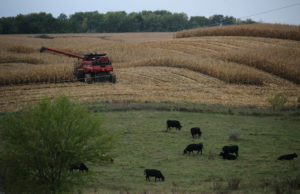 Stephanie Leonard's edited version of her own story was published in Iowa Farmer Today.